Converting existing cattle housing to accommodate an expanding sheep enterprise requires a blend of making best use of what you have, creative thinking and a knowledge of what the key housing requirements are for ewes in late pregnancy. Philip Higgins has made use of all three in converting a shed previously used for store cattle into winter accommodation for 280 of his mid-season lambing ewes. The key design features that Philip had in mind for his converted sheep shed were primarily to reduce labour and to maximise animal welfare. 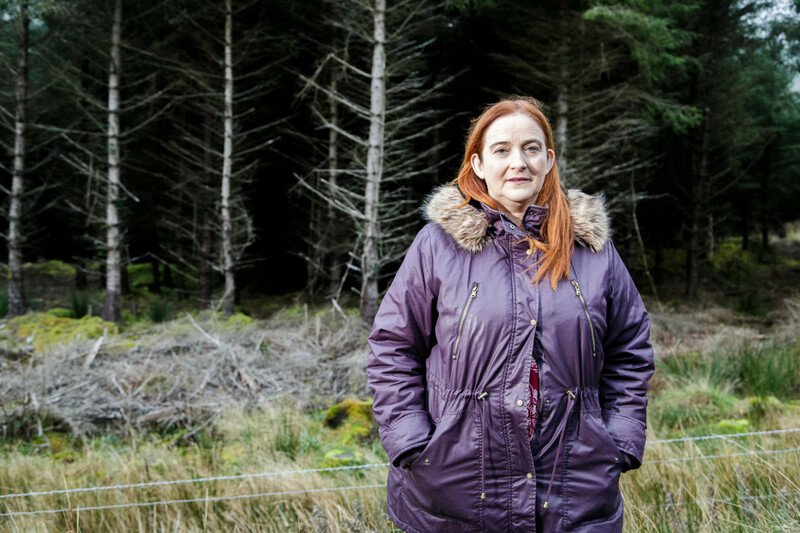 Plastic slatted flooring as used in existing sheep housing was Philip’s preference based on past experience and suitability at lambing time. Although it is more expensive, Philip says it will eliminate the labour and cost associated with bedding pens. Where straw is used to bed sheep, the costs can vary from €6 to €15 per ewe depending on the length of the winter housing period, the dry matter percentage of the forage fed and the availability of the straw. In counties where there is not a readily available supply of straw, the cost can increase dramatically as we have all witnessed this year. Slatted flooring will also reduce the incidence of lameness and allow 10pc more sheep to be housed in the same space. 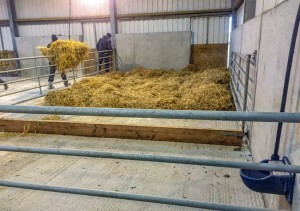 A well-designed sheep shed can reduce the labour associated with feeding, bedding and handling. Adequate ventilation, water supply, animal feeding and lying space will reduce animal health issues that commonly occur when all four are deficient. Philip made a conscious decision to retain the cattle slats in place and to erect plastic sheep slats over the existing concrete slats leaving 36cm between both sets. He will flush out the space between the existing and new slats with water every two weeks using a 2in hose attached to the gate valve of his slurry tanker. This worked well last year and avoided a build-up of sheep manure between both sets of slats. 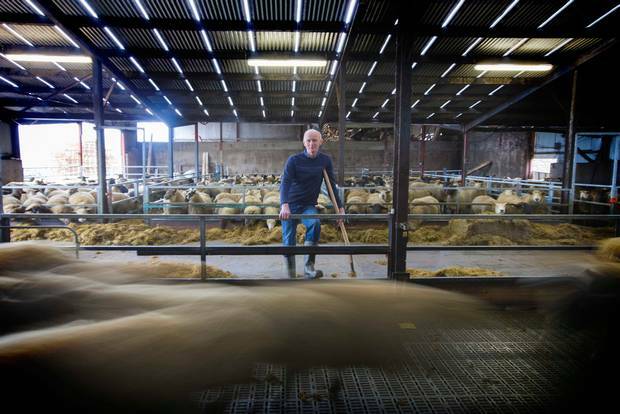 The process normally takes about half an hour and can be carried out without removing the ewes from the shed, says Philip. The central feed passage of the shed is 3.6m wide and has been raised to the level of the slats, a ramp to the main yard allows tractor access. The plastic slats used in the shed are ideal for ewes at lambing but can become blocked and dirty where hay or unchopped silage is fed. Philip uses precision chopped pit silage which is ideal. The slatted pens are 4.6m by 13.1m with 750mm walk through troughs on each side. At a stocking rate of 50 ewes per pen, this will allow 600mm meal feed space per ewe, allowing for the length of a ewe at the four corners. This gives a lying space of 1.2m2 per ewe which is in keeping with the Department of Agriculture specifications for a large-sized ewe around 80kg. 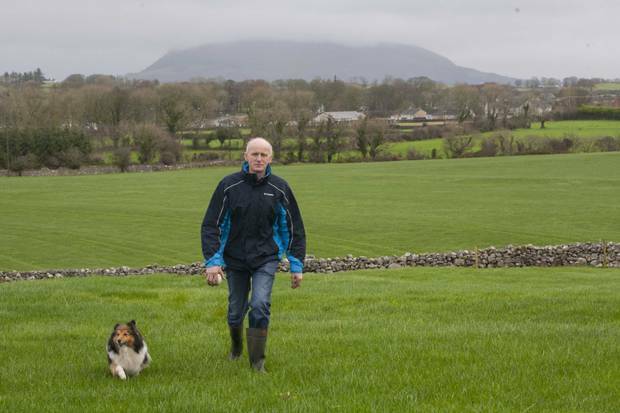 Allowing 600mm of a meal feeding space per ewe was one of Philip’s main priorities, especially with a highly prolific flock carrying twins and multiple lambs in the weeks prior to lambing. Inadequate feed space can lead to reduced feed intake with shy feeders, can lead to abortions from injury caused by ewes pushing to get to feed and can increased incidence of vaginal prolapse in heavily pregnant ewes. Philip will install two bowl-type drinkers in each pen, which can be easily cleaned out, and will be positioned at a height of 600mm above the slatted floor. Feeding barriers all have a bottom board 260mm from the floor and a head feeding space of 250mm through which the ewe eats without causing undue pressure to the back of her neck or throat. 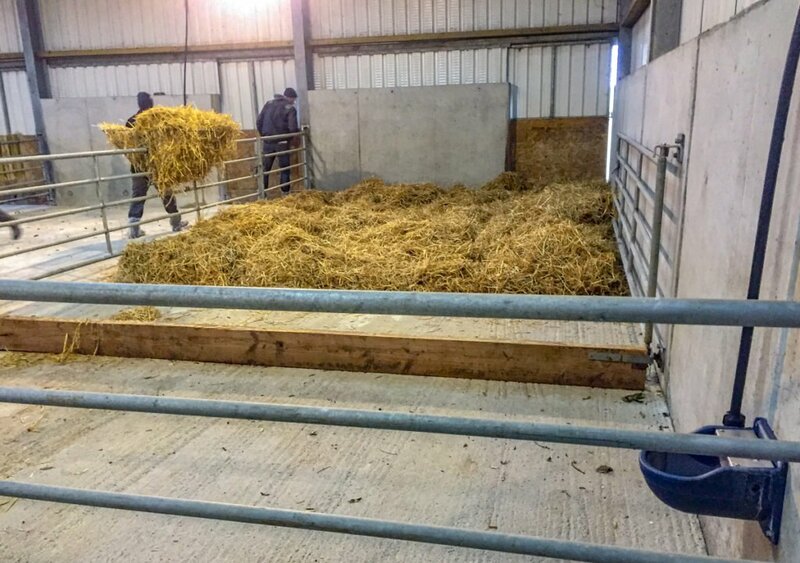 The conversion costs for the shed are around €80 per ewe for slats, concrete and feed barriers. This is equivalent to 4-5 years bedding costs at current straw prices. The first batch of ewes were housed on December 4 and are in good body condition as a result of grass availability and high utilisation attributed to good ground and grazing conditions. 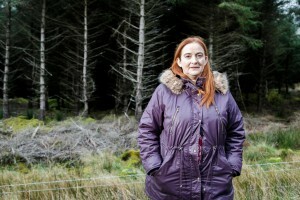 Farmer, Mary Rooney, who is against forestry, near her home in Ballintrillick, Co. Sligo.